Over the years I have been on the quest for the perfect dog bed for the hounds. When Mina first came to live with us, we had one of those plastic beds that you put bedding in. Mina never seemed that comfortable in so we then tried another type - the stuffed duvet type. They worked well and would wash up nicely but soon seemed to flatten. We then moved onto a donut or nest type bed for all 3. The hounds seemed to like them and often Mina and Jasper would cosy on up together! However, after a wee while it wasn't long before Mina decided to take the stuffing out of them. At Crufts last year however, I was fortunate enough to meet Luise from Tuffies. Tuffies are, as the name suggests, 'tuff' dog beds. I don't mean the kind that are hard to lie on; I mean the sort that are designed to withstand a 35kg greyhound (and sometimes 70kg of hound, when two lie on them) sleeping on them without going flat. Out of all the types of beds the hounds have tested over the years, the Tuffies bed has been by far the one that they all seem to prefer. I must admit when the bed first arrived I wondered if the hounds would get used to it. For a start, it was huge (but then again, at full stretch so are greyhounds!) and it was covered in hard wearing, waterproof material - not the soft type of bedding the hounds are generally used to. However, I needn't have worried. The great thing about the Tuffies bed is that it NEVER and I mean never - goes flat. With all the beds the hounds have had, after a while they all go flat. No amount of plumping them up works (with the exception of washing and tumble drying the duvets). You can buy Tuffies in a number of sizes and shapes. We've got a flat waterproof one, for which you can buy optional soft covers (which I keep meaning to buy but haven't got round to yet - I'll probably end up buying one at Crufts) and there's also a Tuffies Nest and a chew-proof design. Our Tuffies bed has stayed nice and plump for nearly a year now and is really easy to clean - simply wipe it (or in extreme cases of muckyness - hose it) down. I tend to cover the bed with a blanket as my hounds like to make 'nests' of their beds. The only thing I have noticed about the bed is that it's noisy! How can a bed be noisy you may ask? Well, what I mean is that when Stevie, in particular, is settling down and trying to find that just comfy spot - the bed seems to make crinkle-like noises. That said, this is my only 'complaint' (and it's so minor it doesn't really warrant a complaint - but the right word escapes me) about the bed. In reality, the bed has been a great addition to the hounds' day and night time resting places. I would imagine that if you have a dog that loves to get muddy and then roll on their bed that a Tuffies bed would be ideal. Who me? On my Tuffies bed? A 'dead' reindeer toy? Never! What's your dog's favourite place for a snooze - do let us know. 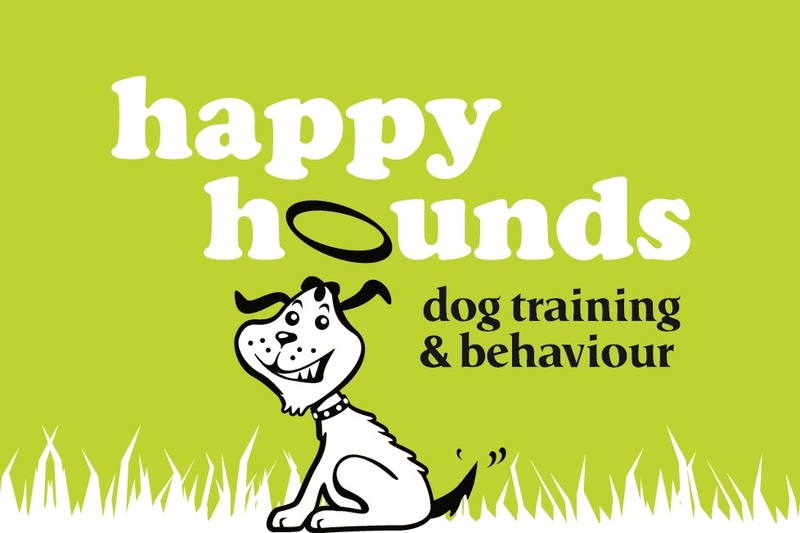 PS Don't forget, any comments left on the blog during February 2012, will be entered into our Crufts tickets giveaway.See our 'Countdown to Crufts' page for details. Tuffies provided me with a free Tuffies bed to test and review. I have received no payment for writing this review and the views expressed are my own. Thank you Hils. The Tuffies bed has been a hit with all 3 of them - but I think Stevie loves it the most! The Tuffies bed looks ideal for Brodie, our younger GSD. He gets really hot and does not like warm, soft beds. We got him one of those "Canine Cooler" beds in the summer which he loved, but he chewed it and ruined it :-( He also needs something very easy to lean because that long coat of his means he gets really wet and dirty! Tuffies are my favourite choice by far. I use a nest style for my retired gsd. I tried a flat one for my younger gsd and she chewed through it. (it was always a risk). My 2 Weimaraners favourite place to sleep is my bed!!! !..they love to be cosy and warm. My Lab x doesnt like getting to hot, but does like something soft to lie on. A tuffies is perfect for him, but my lot managed to dig a hole straight through the middle eventually as they love to dig to get comfy! !...iv run outta ideas for beds for them lol!!! 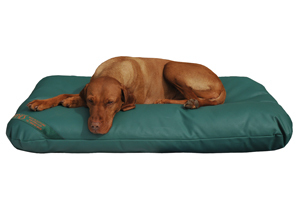 We have two tuffies too, fabulous beds, great quality and never go stinky. I'll be glad at crufts this year not to have to lug one all the way back to the car! they are really substantial but we have one for each dog now. love the innocent looks on you dog's face its funny how clever they get at mastering that look! My dog used to sleep in a basket but is now happy to sleep at the top of the stairs! these beds look good though and look easy to clean! I have a young German Shepherd dog, not a puppy and he doesnt chew anything particularly badly and I bought him a tuffies durable bed for the winter and watched him with it for a few minutes to make sure that he didnt have a chewing frenzy. I then left him with the bed for almost 1 hour before checking on him again and found that hed chewed a large hole through the middle of the bed, not a corner and pulled a lot of stuffing out! This durable bed didnt even last 1 hour for a dog that is not a prolific chewer! Total waste of money!!! I always find it doesn't matter how much you spend on a bed, if your dog wants to chew it will chew. Although my dog has been a chewer all his life he's started to settle down and so I bought him designer dog beds from purplebone and he loves it. I think he's come to an age where he'd much rather have somewhere warm and cosy to sleep than somewhere ripped up and soggy. As long as there is plenty for your puppy to do it shouldn't be too bad. Spray an antichew and then give him loads of toys to play with, rewarding him everytime he plays with them rather than the bed. Good luck!